Many thanks to Maggie Sefton for letting me borrow her slot today. If my writer friends and I have yelled loud enough, by now you know that I’ve just launched a new cozy series, the Museum Mysteries. 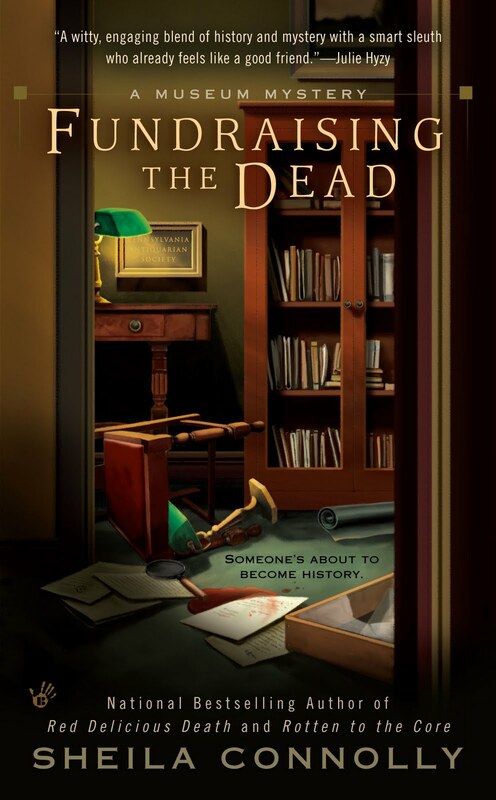 The first book, Fundraising the Dead, joined my Orchard Mystery series in bookstores, both real and virtual, on October 5th. Curiously, both series begin with books I wrote several years ago. They’ve both be en through several rounds of revisions, major and minor (one lost a ghost, the other gained a body), based on comments from agents (one passed on one book, the other took me on as a client). Now both series are out there in the world: go forth and prosper, my children! 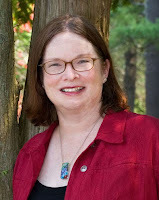 The question is, how do I keep my protagonists separate? Writers often talk about voice and style, but how do you hang on to your own voice while writing about two distinctly different characters without allowing them to merge? It’s a challenge. There are similarities between them, of course: Meg Corey and Nell Pratt are both independent professional women; they’re both in their thirties; they’re both free of romantic entanglements (at least in the beginning). But what about the differences? Meg is floundering, trying to figure out how to support herself in a venture new to her and make a life for herself, in an unfamiliar rural area. Nell, on the other hand, loves her job in a city historical society and loves living in an urban area. Meg is an outsider, Nell is an insider. Both are hardworking and honest, they have friends they care about, and they’re committed to seeing justice done as they keep stumbling over bodies. Still, I fight to keep their voices different. It’s made a little easier because I write Meg in third-person point of view, and Nell in first-person, and that’s been true from the start. I’ll confess: I have more fun writing in first-person. For some reason what I write from inside my character’s head comes out a bit more sarcastic and, I hope, funnier. It’s also a plus that I can show the good intentions that lie behind Nell’s occasionally snappy comments, so they’re not taken the wrong way. In my head, at least, Meg and Nell are clearly different people, not just cookie-cutter characters dropped into a stage set. To me they’re real—imperfect, maybe, but aren’t we all? So you tell me: read one of each series (please!) and let me know if you would want either or both of them as friends? I've read your Orchard series and look forward to reading your Museum series. Congratulations!!! The book store is my next stop after visiting the library today, my second week of retirement. More time to read!!! I haven't read your books YET, but I'm planning on starting real soon. I am in awe of writers who manage to keep all their characters straight and make it look so easy. Good to meet you here on Cozy Chicks. The books sound interesting and I look forward to reading all about Meg and Nell's adventures. I've read the Orchard books, all three of them, I've also read your Sarah Atwell glassblowing series...and I'm currently reading Fundraising the Dead. I'm not very far into Fundraising, but from what I can tell, you've met your goal. Meg and Emmeline are very different, and they have different "voices" and so does Nell. I have yet to think to myself, "Oh, I can see Meg in Emmeline"...or Nell in Meg, or any other combination I can think of. 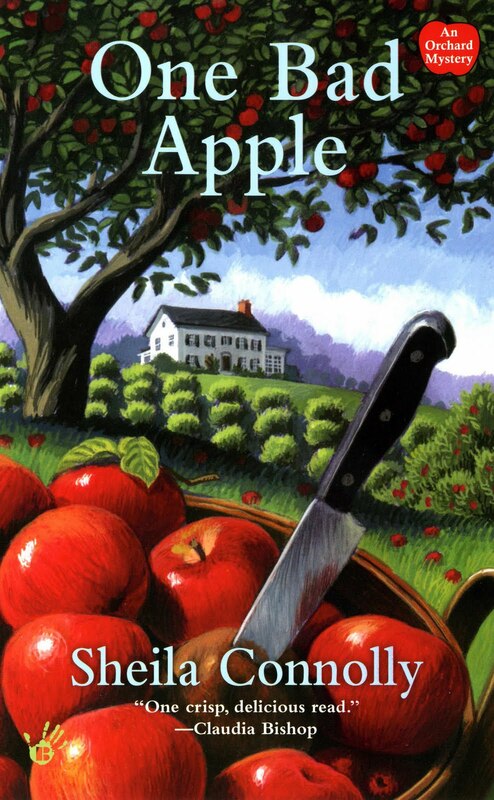 I haven't yet read any of the apple books, but I'd love to have Nell for a friend! Thank you all for your comments. I've been in San Francisco mingling with an intimate group of, oh, 1500 mystery writers (that would be Bouchercon), and haven't touched a computer in a week. We call that cold turkey! So now I'm playing catch-up, but I do appreciate you all stopping by to leave a comment!